You will be able to Learn top 11 Realme U1 Hidden Features, Tips, and Tricks. That You Must Check Out. Today we are here with Detail guide on Realme U1 hidden features. As we all know, it’s not the hardware specs alone that define a phone. The software also plays an important role in making it a complete experience. all you need to do is go to Settings -> Notification & Status Bar and enable the Battery Percentage slider. This is one of the best features of Realme U1 and all Realme smartphone. Normally you are Taking screenshots by the traditional Volume Down Button + Power Button way is more common and requires a little effort mostly with both hands as well. This sneaky trick will let you take screenshots with three-finger slide on the screen, no need to push any buttons or anything, just swipe the 3 fingers down and you are done. head to Settings -> Smart & Convenient -> Gesture & Motion and enable 3-finger Screenshot slider. As you know, the smart call is a very useful feature and it lets you minimize your efforts while answering the call. It lets you control the device by letting you answer calls automatically when brought near the ear, switching modes during calls and flip to mute the incoming calls. The Realme U1 also has a feature that lets you record screens. Yes, just like you have seen on other smartphones, you can also record the screen activity by tapping an icon in the notification panel. Swipe from the top to open the notification panel and tap the icon that says ‘Start Screen Recording‘. Ever wanted to navigate the phone from any corners or sides, this floating ball will do it with ease. The Assistive Ball on the Realme U1 is a floating ball that can be used for navigation operations like go back, go to home screen and switch to recent apps. To turn it on, visit the Settings -> Smart & Convenient -> Assistive Ball and tap the slider button. Aside from the battery percentage, you also have the network speed indicator on top. If you have just entered the Notification & Status Bar, just below the Battery Percentage that, you will find Real-Time Network Speed which shows you the network speed (Wi-Fi or Mobile Data) in real-time. This is similar to the native split screen, however, works with gestures. You can split the screen into two halves by sliding your three fingers upwards. To enable the split screen gesture, head to Settings -> App Split-screen and enable it from there. The USB OTG feature is present i.e. you can plug in a thumb drive or any USB device like keyboard or mouse on the Realme U1. It’s not enabled, you will need to turn it on from the settings. Go to Settings -> Additional Settings and select OTG connection. Enable them in the Settings -> Smart & Convenient -> Gesture & Motion -> Screen-off Gestures. This is one of the most useful features in every smartphone. It should be available as default for every smartphone nowadays. Because of the high-frequency blue rays, the chances for your eyes get hurt is very high while using smartphones for a long time, especially at night times. Night mode is available in Realme U1 smartphone and it can be enabled by going to Settings → Display & Brightness → Night Shield. Just turn this feature on during night times and enjoy your digital contents without hurting your eyes. When Clone Apps is turned on, a new copy of the app will be generated on the home screen. Both, the clone app and the original app can be run simultaneously without affecting each other. 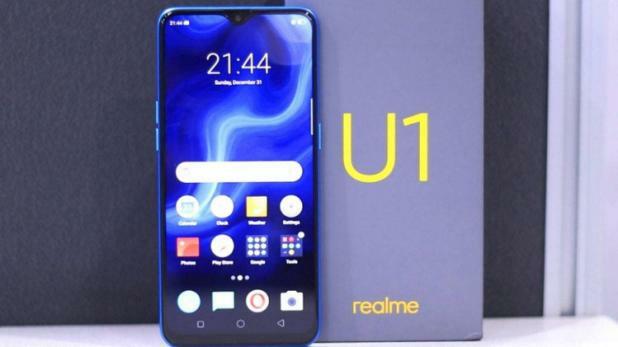 I hope to use to understand all article on 8 Best Realme U1 Hidden Feature, Tips, and Tricks. If you have any problem then ask in the comment box. We can solve your problem.